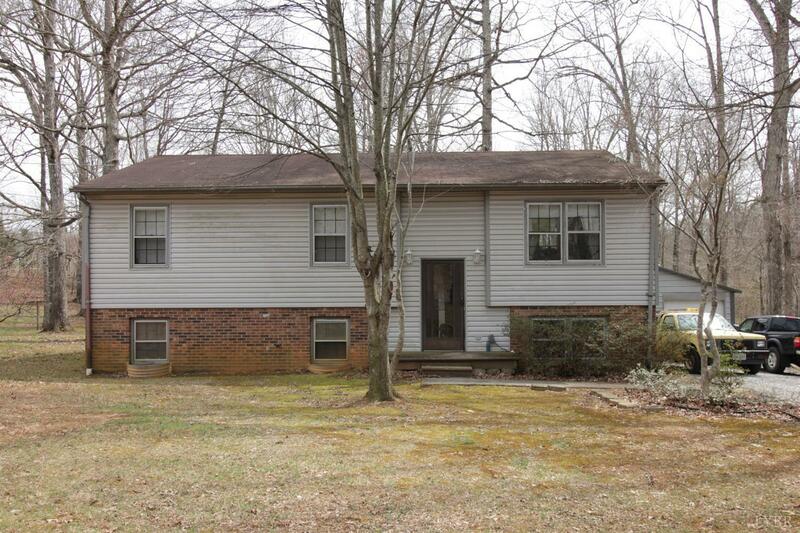 Split level home with great upside for those seeking some sweat equity. The upper level offers an open Living Room with huge Eat in Kitchen, 3 Bedrooms including a MSTR w/ Private Bath, lots of storage and some new fixtures. Bottom level offers a spacious Great Room with Gas Log FP unit, newer Laminate flooring, updated Bathroom with large Jetted Tub, 80 Gallon Water Heater and 4th Bonus room used as a Bedroom with potential for closet once you see the layout. Expansive double decking offering Private Cabana (unfinished) with newer Jacuzzi that conveys but isn't hooked up. Great back yard offering a fire pit, large storage building with electrical and a 20x21 2 car detached Garage with cement floor. Home needs a roof, some flooring, cosmetic repairs but no leaks/foundation issues and solid bones. Propane Tank and Wall Unit in BSMT do not convey.